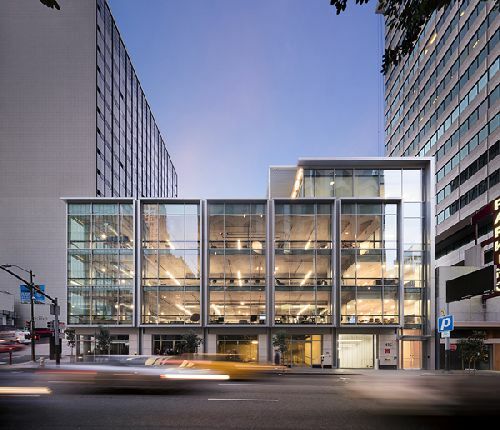 Heitman LLC has purchased 500 Pine, a newly constructed, 56.2k sf office building in downtown San Francisco. The asset was sold by Gemdale USA Corporation and Lincoln Property Company in a deal we’re told was worth about $73 mil ($1,298/sf). Completed in 2017, 500 Pine is a LEED Gold-certified office asset featuring state-of-the-art creative office improvements with open floor plans, floor-to-ceiling window lines, a rooftop balcony, and on-site parking with a bike room and showers. The five-story, fully stabilized building is 100% leased to CVS and Blend. 500 Pine has an ideal location at the corner of Pine and Kearny Streets in the heart of San Francisco’s central business district. With a Transit Score® and Walk Score® of 100, the property has immediate access to all forms of public transit, including BART and MUNI; and numerous restaurants and cafes; hotels and many high-profile corporate neighbors. 500 Pine is one of the newest office developments in the North Financial submarket of San Francisco. Michael Leggett, Gerry Rohm, Ben Bullock, David Dokko and Thomas Foley with HFF represented the seller and procured the buyer in the transaction.